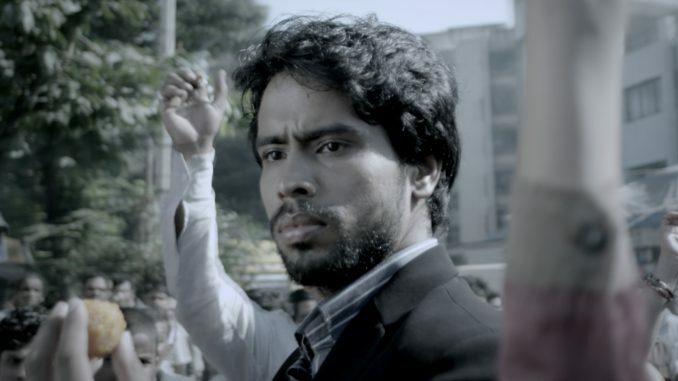 Young actor Hemwant Tiwari is making waves on international shores as the protagonist of Bobby Pushkarna’s first directorial venture after producing the Madhur Bhandarkar directed Page 3 (2005). The film is titled Zindagi Bahut Khoobsurat Hai (Life Is Beautiful), the film will be screened at the Court Metrage, the short film corner of the 66th edition of Cannes Film Festival (May 16-26). The film is about how Mumbai’s colourful life transforms the protagonist (Hemwant Tiwari) from a cold and negative person to a positive and self-sacrificing human being. It makes him realize that life is all about the choices that one makes. Prior to the film, Hemwant, a Barry John protégé, has made his mark in the theatre arena with The Diamond Story with director Asif Ali Beig, Kennedy Bridge with director Khalid Mohammed, The Alchemist with director Mahesh Dattani. Interestingly, this actor who hails from Bihar is fluent in Haryanvi, Bhojpuri, Punjabi, Hindi and English among others. Does Hugh Jackman Lead A Double Life?